When you are looking for work and attending interviews, it is important to present yourself as an accomplished candidate and a good fit for the company. Most employers are looking for more than a solid skillset, as there may be ample candidates with the hard skills and knowledge necessary to do a particular job. Employers want someone who will be a good team player, a motivated worker and a valuable contributing member of the team. Employers want workers who are excited about the job at hand. If your attitude comes across as bored or aloof, you are unlikely to be hired by the organization. Employers don't want high turnover and they don't want to spend time training you only to have you move on at the first available chance. You need to show you are ready to make a commitment to the company's success and that your career path intertwines with opportunity at the organization. One bad apple can ruin the bunch, and employers don't want to hire someone who can't work with existing staff members. Show how you work on a team with real anecdotes from your past professional life, and be polite to everyone on staff. You'll fit in with the company culture. Some companies are much more casual and focus on the creative, while others are formal and hierarchical. You will be happier, and a better employee, if the company is a good fit for your personality. 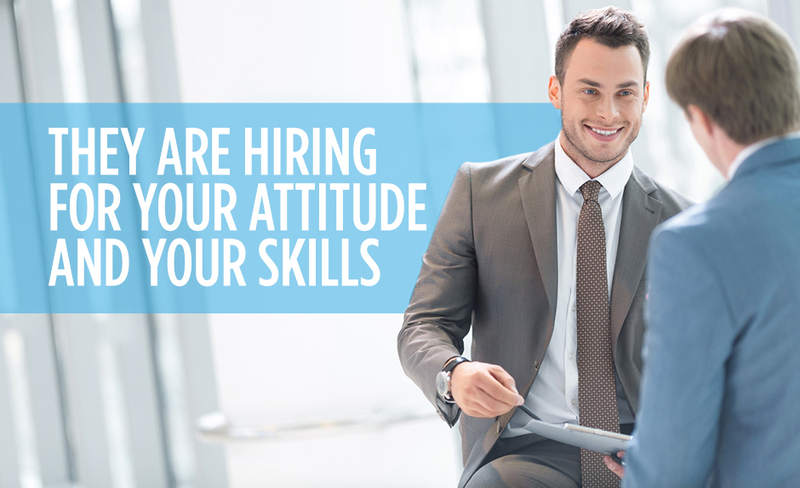 Eastridge Workforce Solutions can help job seekers find companies where their skills and personality really are a good fit. To find out more about how our staffing professionals can help you, contact us today.